OAK BROOK, Ill., April 15, 2019 /PRNewswire/ -- Retail Properties of America, Inc. (NYSE: RPAI) today announced it has completed the redevelopment of 18 apartment units at the historic Plaza del Lago mixed-use shopping center in Wilmette, Illinois. 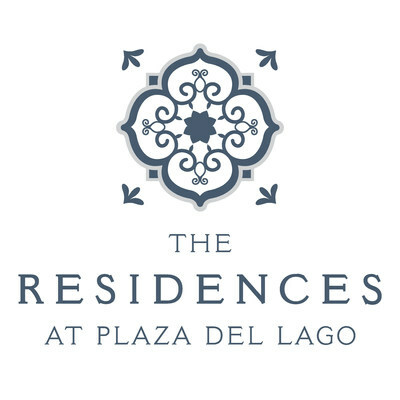 The Company also announced that the newly redeveloped portion of the center, known as "The Residences at Plaza del Lago," will be available for occupancy this summer. The 18 units at The Residences at Plaza del Lago feature brand new stainless steel appliances, modern finishes, Corian countertops, dual heating and air conditioning units, and onsite parking. Plaza del Lago provides residents with premier access to Chicago's lakefront, walking trails, beaches, Northwestern University, public transportation and a diverse retail offering including boutique shops, restaurants and grocery. "We are excited to deliver a modern living experience that is complemented by the center's unique retail amenities as well as the charming community of Wilmette," stated Stacy Short, vice president, leasing director – western division. "The completion of this project demonstrates our commitment to enhance this historic center, and we look forward to continuing to increase the overall center experience." RPAI will host an open house to the general public on Wednesday, May 1st from 3:30 p.m. until 7:00 p.m. The open house will provide guests with the opportunity to preview the new apartments and discuss leasing opportunities with RPAI and its rental consultant, Farnsworth-Hill, Inc.
For more information about The Residences at Plaza del Lago and to view available spaces for rent, visit www.TheResidencesAtPlazaDelLago.com. Retail Properties of America, Inc. is a REIT that owns and operates high quality, strategically located open-air shopping centers, including properties with a mixed-use component. As of December 31, 2018, the Company owned 105 retail operating properties in the United States representing 20.1 million square feet. The Company is publicly traded on the New York Stock Exchange under the ticker symbol RPAI. Additional information about the Company is available at www.rpai.com.